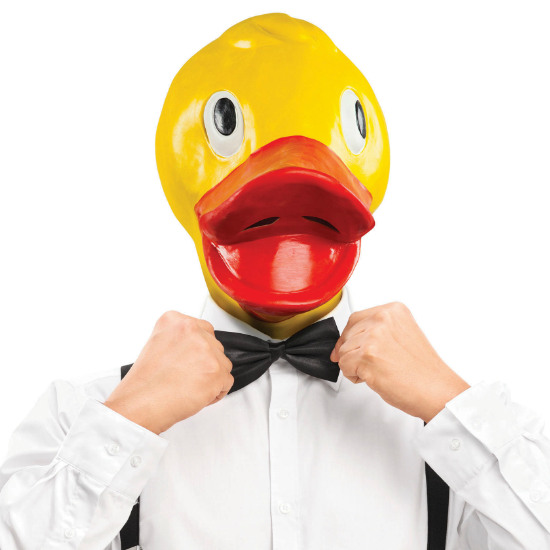 The rubber duckie mask is ready to make a splash at your next party. ItÍs also great for holidays, photo booths, the office, selfies, pranks, & more. P.s it wonÍt chase you for a slice of bread.